SQL Decrypter Pro is a sql decryption tool that helps DBA and database programmer decrypt the encrypted sql object. Such as Stored-Procedures, Views, Triggers and User-Define Functions. MS-SQL Support - Work in MSSQL Server 2000/2005/2008/2012/2014/2016 and MSDE. Easily - Just Click. Not require any knowledge of T-SQL or script. Syntax Highlighting - T-SQL Syntax Highlighting for faster, easier reading. Unicode Support - Use Unicode technology during the decryption. Batch Mode - Decrypt multiple database objects at One Time. 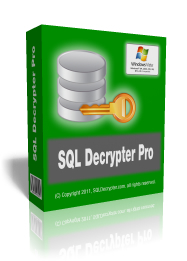 Try SQL Decrypter Pro Now! - Work in Microsoft™ SQL Server 2000/2005/2008/2012/2014/2016 and Microsoft™ Database Engine (MSDE). - Quick to Decrypt SQL Stored-Procedures, Triggers, Functions, Views of ANY size. - Use Unicode technology during the decryption process which allows for International use. - Full T-SQL Syntax Highlighting for faster, easier reading. - Just Click. Not require any knowledge of T-SQL or script. - Export encrypted object to Rich Text Formatted (RTF) and HTML Documents (HTML) files with syntax highlighting. 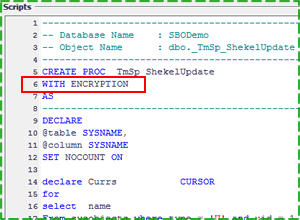 - You can decrypt multiple objects of SQL in batch decryption mode. SQL Decrypter Pro is a sql decryption tool that helps DBA and database programmer decrypt the encrypted sql object. 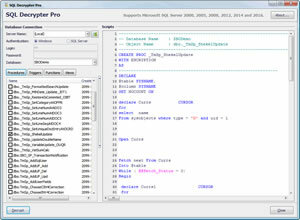 SQL Decrypter Pro Work in Microsoft™ SQL Server 2000 / 2005 / 2008 and Microsoft™ Database Engine (MSDE). 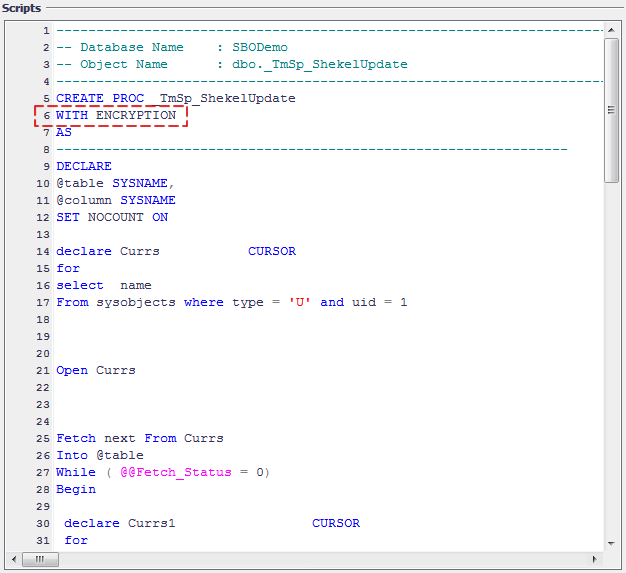 Also, SQL Decrypter Pro has the Batch Mode to decrypt multiple database objects. 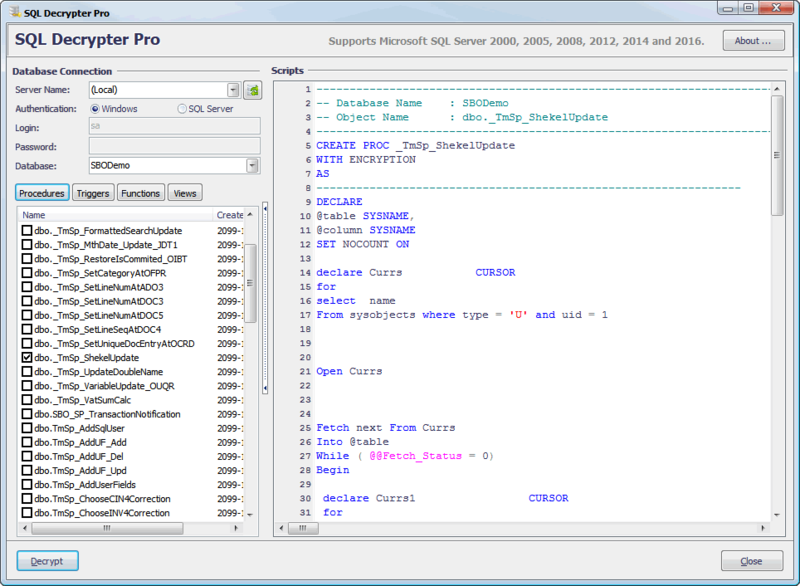 SQL Decrypter Pro support T-SQL Syntax Highlighting for faster, easier reading.